As a new leaf has turned over this year, I think it’s high time for an update on my Rey costume. Alas, I am nowhere as far along as I would like (perfectionism has it’s drawbacks sometimes). But as this is also a how-to-guide for anyone who stumbles across it, I feel duty-bound to update. So here goes! Though, I realized that longer hair doesn’t work as well with this hairstyle. It may just be me and my clumsiness, but my hair kept getting horribly tangled in trying to put up the buns. 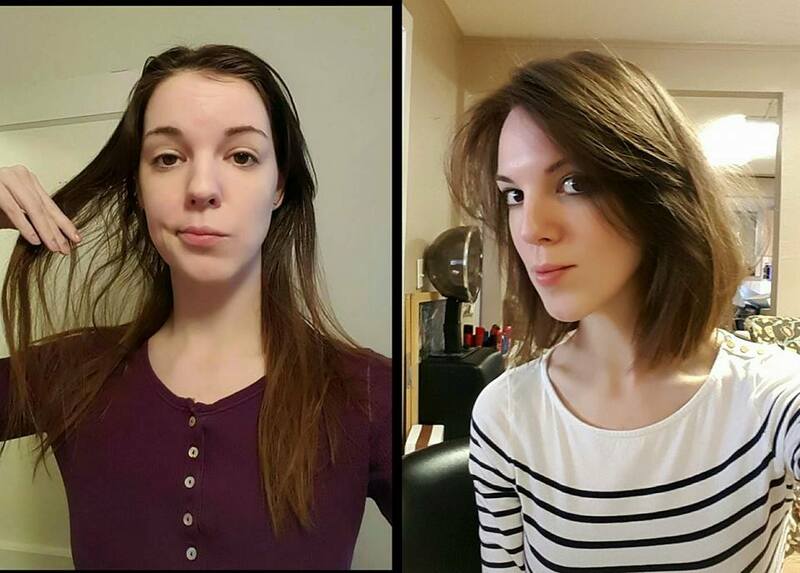 So since I needed to chop off my unhealthy hair anyways…. 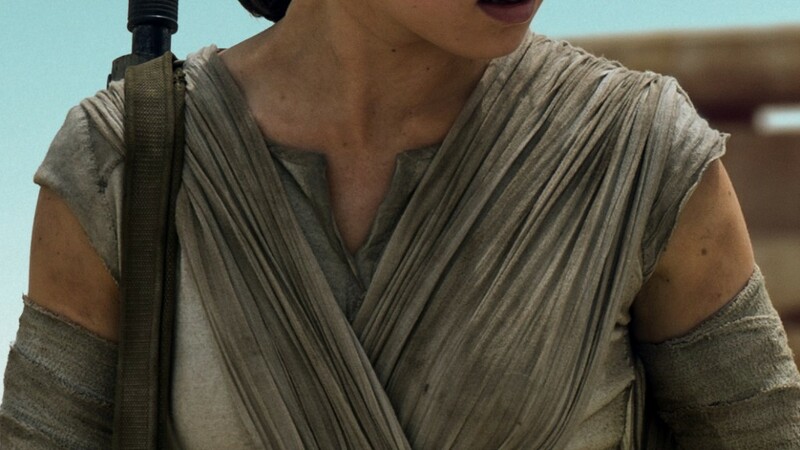 Major thing to note on Rey’s hair that I haven’t seen mentioned anywhere. 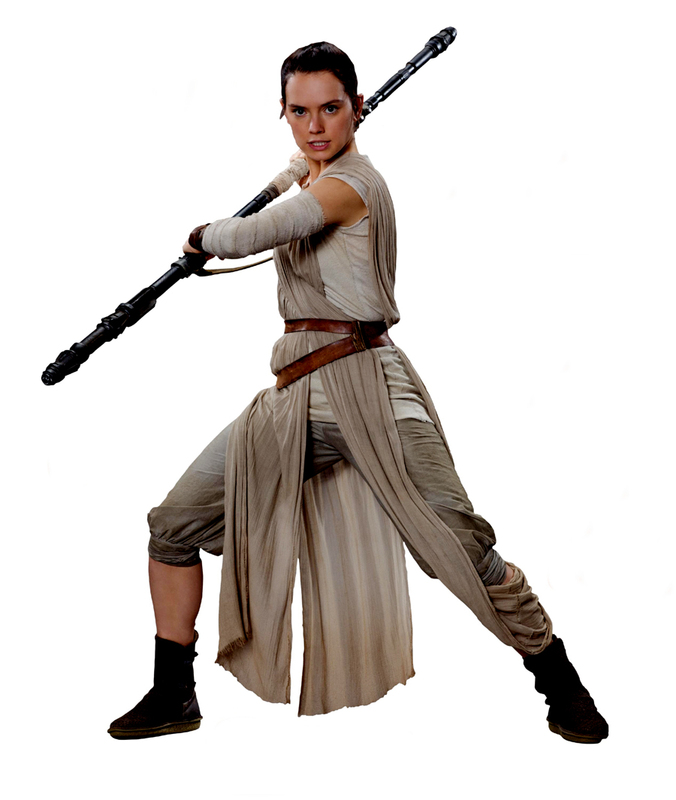 Upon viewing The Force Awakens for a second time, I realized that the top of Rey’s hair is actually braided (or pulled back into a mini tail). I’m not sure if it extends farther than the top piece. But it’s certainly something to note. I bought the Hemp Jersey cotton fabric from Dharma Trading. Still need to wash it before sewing. The length comes down to brush her hips. One interesting thing to note is that the sleeves of the undershirt are two different styles. Alas, I do not know enough about sewing to know what the different techniques are called to achieve the effect (I’ve heard the term “lettuce hem” thrown around a few times). I’m still debating the right fabric for this as the bottom of the wrap shows a thatching sort of weave. But the top is much thicker and gathered, where that thatching is not as apparent. 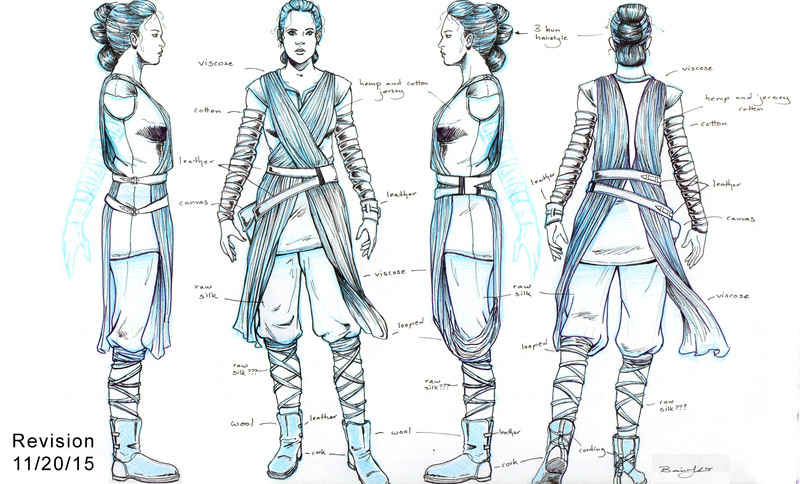 I’m going by the listing from Star Wars Celebration that the wrap dress is viscose. The only one I’ve been able to find that seems close is the viscose silk blend from Dharma Trading. 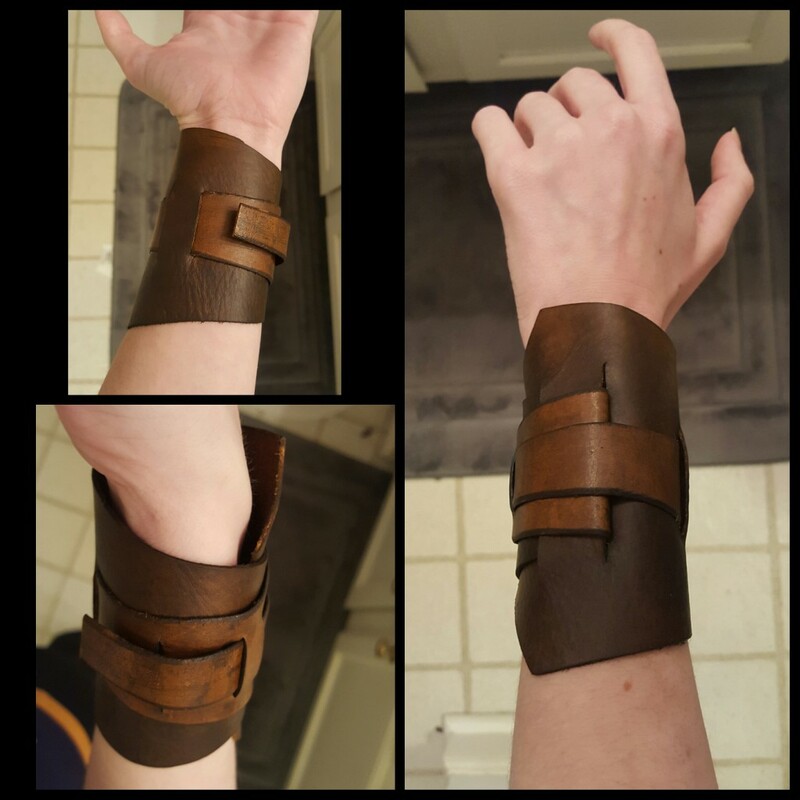 I’m currently in the experimenting phase of trying to find the right material for the arm wraps. The general consensus is that the arm wraps of medical gauze. The trick is finding the right one. I’ve got differing styles from Ace, Band-Aid, Walmart generic, etc. ranging from self-adhering to fabric. Next is to tea dye them, distress them up a bit, and see which one looks best. Though one major thing to note, in the film costume they used a sleeve underneath to attach the wraps too. 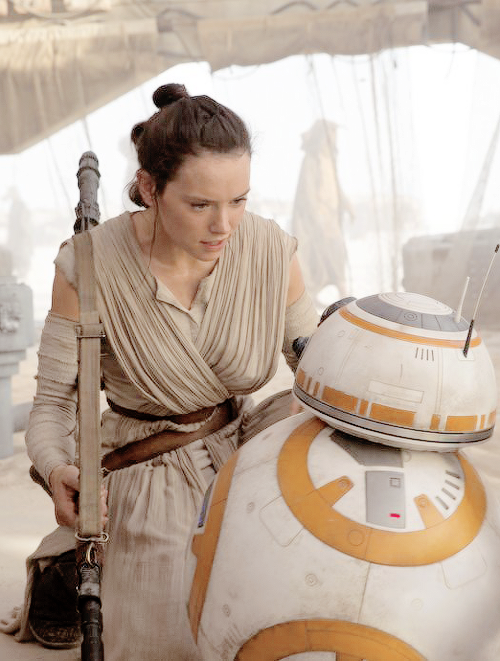 (You can see it in the first scene Rey shows up in where she drinks from her cantina. There’s a gap in the wraps where you can see the undersleeve. It appears to be a similar colour as the wraps.) You can actually see it poking out of the top of the left arm wrap in the picture I posted above in the wrap dress section. I bought a wonderful looking cuff from the folks at Leather Clad Legends. A beautiful, reasonably priced piece. I haven’t started on this piece yet. So I’ll save that for another update. I made the mistake of buying the raw silk from Dharma Trading thinking it was the right fabric. 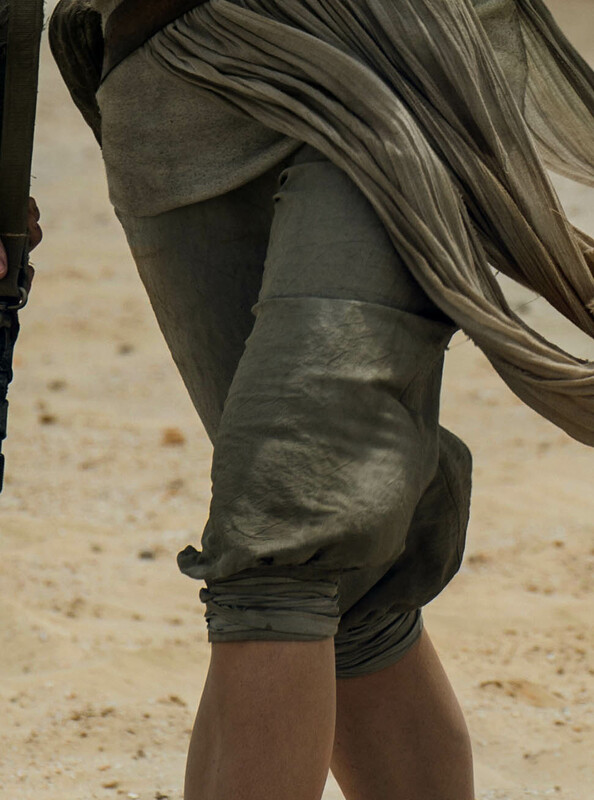 But then I got my hands on a hi-res picture of Rey’s pants and realized they’re not nubby. They’re smooth and have a sort of crepe feel to them. Alas, I haven’t been able to find a suitable alternative yet. And since I have 3 yards of raw silk, I’m going to use it. However, the team I’m working with to make this costume found that the back side of the raw silk was smoother and less nubby. So we’re going to try making the pants out of the wrong-side raw silk and see how it looks. I got the screen accurate boots from Po-Zu (courtesy of a kind boyfriend taking pity on me for having to use the money I had saved up for the boots on medical bills). They are marvelous! No exaggeration, they are the comfiest shoes I have ever worn in my life. The inside is plush almost like memory foam so it gives the feeling of a slipper more than a boot. But the rugged outside made out of all natural materials (seriously! 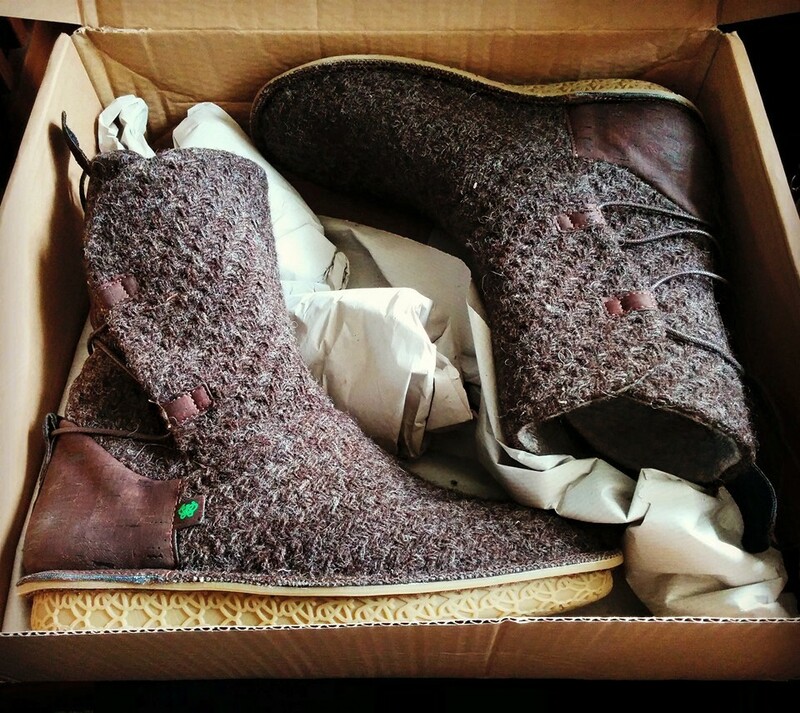 The soles feel like rubber but are actually made out of beeswax and cork. I wish more companies that), keep it a boot.